Hi again, I am finally able to get back to a post on this blog. 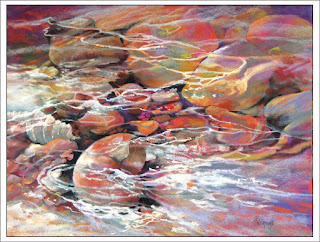 My hubby has been in hospital yet again, and my life is just very scattered right now, so no time for painting. Grrr! I started this one about three days ago. 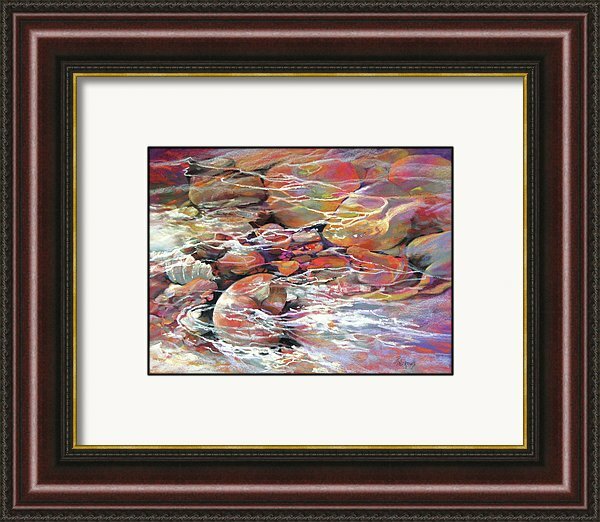 It is a 19.5" x 25.5" pastel on red Sennelier sanded paper (unframed). This one was cathartic for me, with all the stress over the last few months. Just to paint again has been a real treat! 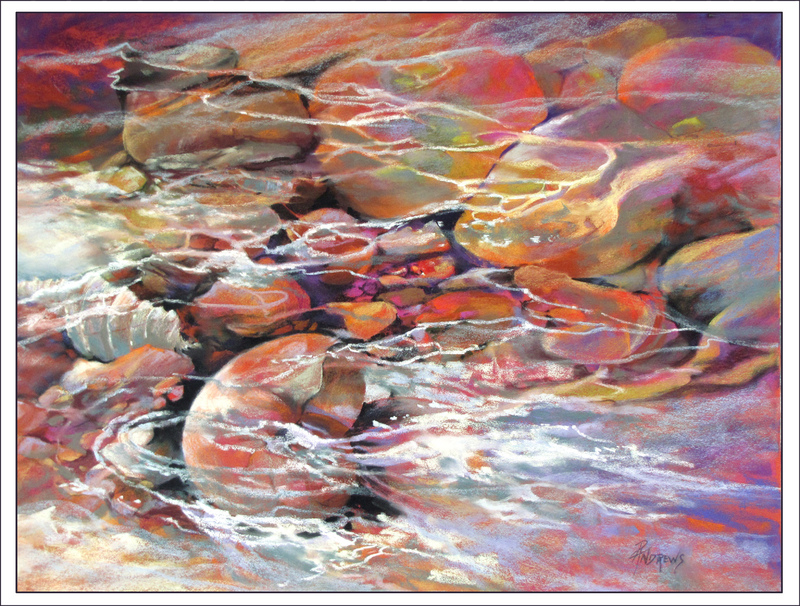 I love to paint water in any form as you may realize, and this rock pool (without the shells) was on Maui . I again 'sparked up my colors using Photoshop on my photo. I used my own shell collection to pop in a little more interest. I hope you like it. It was a fun image to paint.